He’s been dubbed the ‘rebel winemaker of Bordeaux’ or enfant terrible. Winemaker Dominique Léandre-Chevalier likes to do things his own way. And he’s not afraid of a law suit. His estate, Domaine Léandre-Chevalier—or DLC as it is colloquially recognised—was originally known as Château le Queyroux, and has been in Dominique’s family for three generations, dating back to 1895. 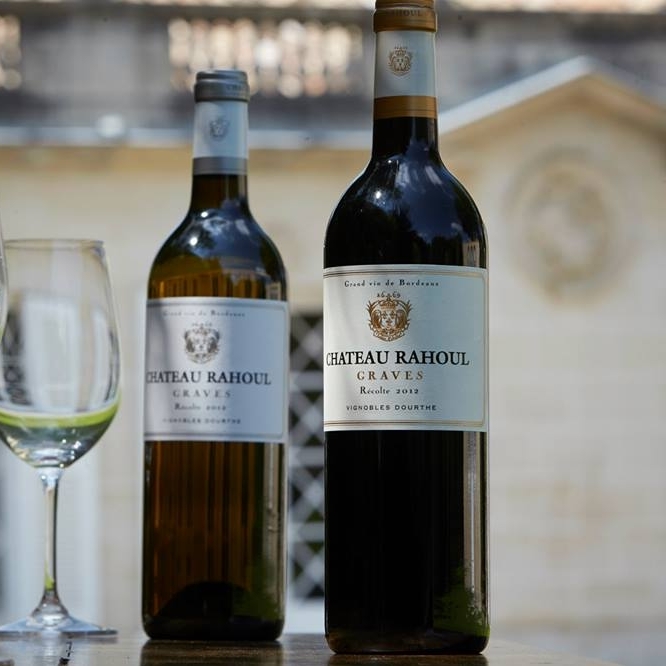 It is now distributed into smaller plots between Dominique and his two sisters, and resides between the banks of Pauillac and Blaye in France’s southwest. Dominique began his career as an ornamental plasterer with the Compagnons du Tour de France. He started to appreciate wine in his late-20s, when he recognised it as deeply engrained in his family heritage. Dominique's ancestors were winegrowers, waggoners, and tree nursery owners, and the family name translates to ‘horse-man’. He champions these roots in the vineyard, utilising horses and hand-drawn ploughs across his 3.2 hectares of vines. His passion for viticulture derives from a passion for gardening and he cultivates with an utmost respect for nature. No synthetics are used, however the domaine is not certified organic as Dominique feels this would be dishonest with neighbouring estates using chemicals. Spurred by the learned knowledge of his ancestors, Dominique began to plant in a high-density design in 2001, gradually increasing spacings to 10,000, 11,111, and 33,333 vines per hectare to naturally reduce the number of grapes per vine (standard spacing in AOC Bordeaux Supérieur is 3,000–4,000 vines per hectare). The soil structure spans eight unique profiles—from rocky limestone and red soils to a chalky clay terroir, a limey salt deposit, and black sand. Constantly questioning rules and regulations, Dominique has bottled the same wine under Vin de France and Blaye Côtes de Bordeaux to test consumer perceptions and draw attention to the unfair price ceiling that the Côtes suffer from. Positioned on the east side of Saint-Seurin-de-Cadourne commune, along the Gironde-Bordeaux estuary, Château Pontoise Cabarrus is renowned for its Cru Bourgeois. The vineyard sits within the Haut-Médoc appellation, but the land stretches among deep gravelly rises on the Gironde, and across limestone-heavy soils to the west. Only seven of the 15 hectares of vines were producing grapes when Emile Tereygeol acquired the property in 1959. And so he devoted himself to rectifying this loss, and growing Pontoise’s potential as an ‘en primeur’ estate. Emile’s son François Tereygeol continued on this trajectory when he took over the business in 1973, extending the vineyard to cloak the 28 hectares of gravelly soils that surrounded the original plots. François’ son Eric and friend Jacques Boissenot, renowned oenologists from Médoc, assisted in improving the quality of the vines, and both of François’ sons, Eric and Laurent, continue this aim to constantly work to accentuate the exceptional terroir beneath their feet. Among this left bank region of Bordeaux, Château Pontoise Cabarrus produces full bodied, fruit-driven reds, with fine grained tannins. For the estate’s Cru Bourgeois, the Tereygeol family selects the best parcels of grapes from old vines along with the best barrels to make their premium wine. To create this powerfully concentrated drop, they blend Cabernet Sauvignon, Merlot, Petit Verdot, and Cabernet Franc. The proximity to the estuary and deep, well-draining gravelly soils create a unique microclimate that assists in developing the incomparable expression of the Cabernet Sauvignon, which is the main grape varietal of the Grand Crus of Haut-Médoc. Once the grapes have matured throughout September, the berries are tasted each day to observe the optimal time for harvest. Since 1981, the family has harvested the grapes by machine, before sorting manually on a conveyor belt. Merlot is picked first, followed by Cabernet Franc, then Cabernet Sauvignon and lastly Petit Verdot. Alike to other Bordeaux wines, these are barrel aged for 12–14 months in new French oak, along with a small portion of barrels that have been used once before. The name ‘Cru Bourgeois’ is a quality classification bestowed to red wines cultivated in the Médoc, which originated in the 18th century. The classification has seen several adaptions since its beginnings, and the Alliance des Crus Bourgeois du Médoc plans to reintroduce a three-tiered measure of quality in 2020—Cru Bourgeois, Cru Bourgeois Supérieur, and Cru Bourgeois Exceptionnel. Entrepreneurial winemaker Olivier Decelle acquired this domain in the illustrious Saint-Émilion region of Bordeaux in 2004, with a vision of bringing the neglected vineyard back to life. The estate has existed since the 18th century, and once held the appellation of Grand Cru Classé (which it lost in 1986). Decelle’s aim was to restore the vineyard’s health back to this esteemed level, and after eight years, he succeeded in 2012. In 2014, he took this trajectory further by starting to convert his 18 hectares of vines to organics and biodynamic methods. The domain is situated next to the renowned Château de Cheval Blanc and Château Figeac, and under Decelle’s natural farming practices and considered vinification, Château Jean Faure has returned to the level of finesse expected of a top-tier Saint-Émilion estate. The 45-year-old vines are a mix of Cabernet Franc, Merlot, and Malbec, which are rooted in a clay and iron-rich soil. Decelle has focused on returning microbial life to the terroir, prioritising the health of the soil and the fauna, and managing the vineyard with respect. Mechanical ploughing between rows is being gradually replaced by horse-drawn tilling, with five horses required for this process. The estate’s wine is a blend of 50% Cabernet Franc, 45% Merlot and 5% Malbec. Grapes are harvested by hand, placed in small crates and sorted twice. The whole grapes remain intact, and natural winemaking procedures are implemented, without the use of yeast or intervention. Long periods in vats ensure aromas are gently extracted to better express the terroir. The wine is then matured in French oak barrels (60% new barrels and 40% in barrels used once before) for 18 months, with part of the wine aged in large demi-muids and casks. The wine matures on fine lees to conserve the aromatic freshness and enhance the wine’s fine potential.